Working with people in Microsoft while freelancing with AVO, I helped build a parallax microsite for Microsoft Enterprise. 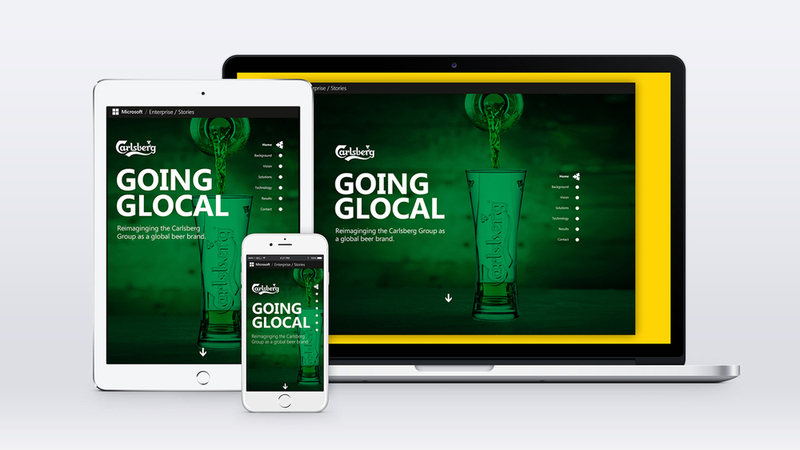 Carlsberg was the Case Study, and the narrative of the experience talks about how MSFT helped Carlsberg build an international brand. Art direction, visual design, photo editing, layout, final asset production. Redlines and details for the Development Team.